Kathryn Moore, President of the International Federation of Landscape Architects (IFLA) announced the winners of the Student Design Competition at an awards ceremony at the 54th IFLA World Congress and the World Design Summit held in Montreal, Canada 14-20 October 2017. A total of 194 submissions were received electronically in response to the call for submissions and competition brief, which asked students to address the conference theme ‘Landscapes of Power’. The local working group reviewed the submissions for eligibility/completeness, assembled the entries into one folder, and coordinated with the IFLA office regarding entry fee payment. 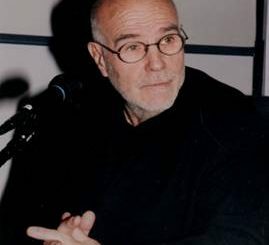 Tomas Esteban Pont Apostolo, Stefano Romagnoli, Juan Cruz Serafini from Faculty of Architecture, Urbanism and Design, National University of Cordoba, Argentina. Global Energy Landscapes: evolutionary process of infrastructures in new territories. The Patagonia case. 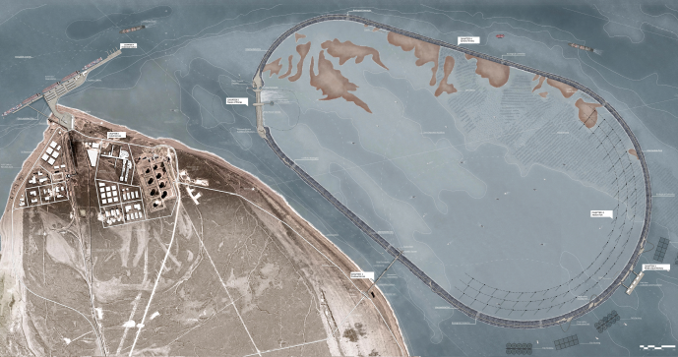 This project deals with tidal energy generation in the Patagonia. It is “an essay on the new capabilities and responsibilities of man-made logistics to intervene in the planet’s resources in the new century. It attempted to introduce minimal components in a territorial scale project, forming networks in order to achieve the domestication of new infrastructures.” The jury considered it to be a well-executed project with compelling design resolution at many scales and levels. The research was effectively synthesized and presented graphically. It included many superior graphic elements and was tied together in one coherent presentation that included well-defined landscape character in which the human experience was easy to read and understand. This project demonstrates the potential leadership role of landscape architecture in addressing large-scale regional and territorial issues. Liang He, Moyan Shi from School of Landscape Architecture, Beijing Forestry University, China; Faculty of Science, University of Copenhagen, Denmark. This project attempts to solve several ecological and social problems by gradually reducing gold mining in Peru’s Madre De Dios River Basin, where illegal mining has led to damaged rainforest ecosystems, local poverty, and health problems, without contributing tax dollars. The project proposes a step—by-step approach involving simple technological improvements, soil and water conservation, and transformation of the mine into productive and sustainable fish ponds to give this community a better future. This was one of the few projects that was not overwhelmed by the magnitude of what they were proposing, and the jury appreciated the strategic approach and the restraint by which the students utilized the information they gathered. 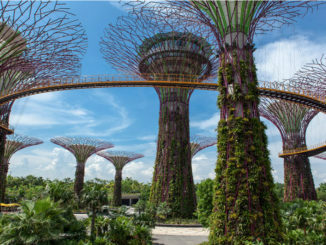 It was beautifully presented and demonstrates the potential leadership role of landscape architecture in addressing complex social/ecological issues. 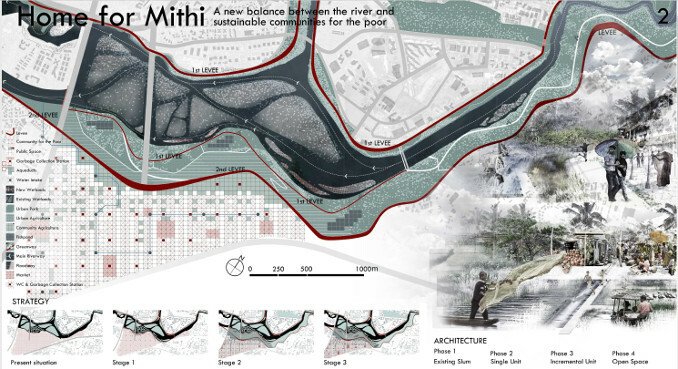 This project attempts to address the huge issues of spreading slums occupying the polluted Mithi River in Mumbai. 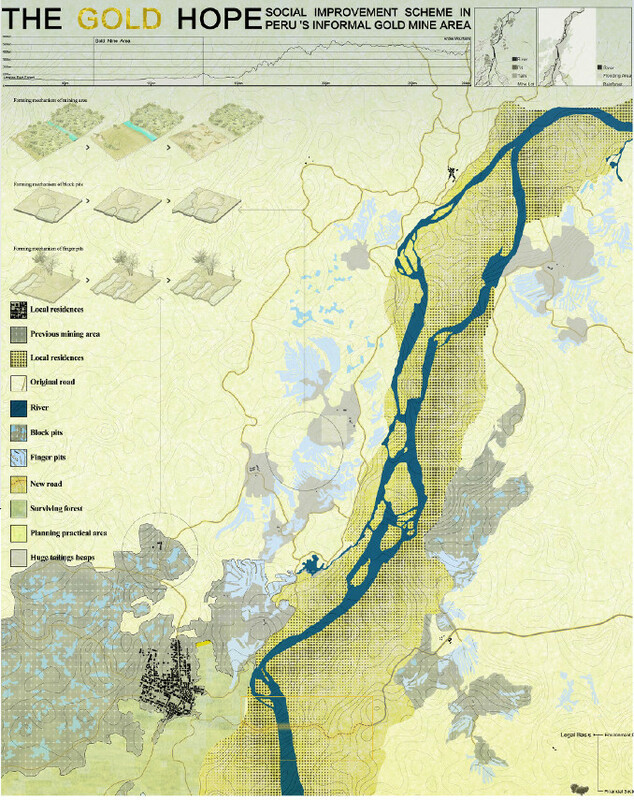 It aims at expanding river space by the flexible strategy of retreating levees and building urban flood diversion areas, and in a way that also creates agricultural space and provides income for residents. The jury appreciated the ambition of the project, but would have liked to have seen more site-specific design rather than so many generic solutions (for example the proposal for slum dwellings that would likely not be practical or appropriate). The short, medium and long-term strategies were convincing and were carefully calibrated over time. The project was very well presented and graphically effective in illustrating ideas at various scales and levels of detail. 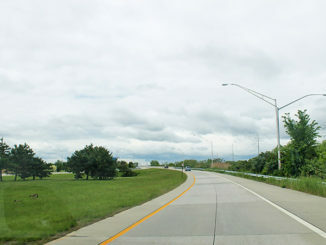 It was a third project that demonstrated the potential leadership role of landscape architecture in addressing huge social, environmental and cultural issues.